When we are working with clients on fixing their marketing issues in the Seattle area, there are three main areas we address. The first area involves solving the obstacle of having no traffic, second, we help clients get leads, and third, we help our clients get sales by closing the loop of the inbound marketing process and optimizing the sales funnel. All businesses have a unique problem in one of these three areas (or all areas) that must be addressed in order to make their marketing campaign show positive ROI. This means that it’s imperative that you (the business owner or marketing manager) understand how to fix these problems. Today I will be focusing on the key to online lead generation – how to spot and solve a leads problem in your sales process. The first step towards solving this problem requires understanding what a lead problem is. A lot of marketing companies think that passing leads to their clients is where their responsibilities stop. But, smart marketing companies understand that the key to building, and scaling, an online marketing campaign requires refining leads generation through actively setting up communication channels with the sale’s team (usually this is accomplished through automated marketing and lead management software). It’s important to note that, just because leads are not closing into sales does not mean that the problem is an issue with the leads themselves. We often find that clients have not built out their sales system to properly communicate and organize their leads so that opportunities for revenue are not missed. So, with inbound marketing we always start the process by determining the type of person we are trying to attract, and then reverse engineer our sales and marketing system from that target. We call this Persona development. A lead problem often stems from a lack of direction and definition as to who the business is targeting. Defining the target (persona) helps inform the content that calls traffic to action – which then moves that traffic to turn into leads. Once you’ve defined your target persona you’ll need to create calls to action that are tailored toward fixing their pain point. They need to learn more – They sense that they need something, but they are not quite sure if your solution will fit their problem. They need to compare – Are you the best choice compared to others who provide the same service or product? They need to buy now – Where’s the call to action, because I’m ready to buy. You’d be amazed at how many of our clients see a strong increase in leads because we help them correctly address traffic with a CTA (call to action) that just asks for the sale on their website. This being said, we often see business owners and marketing managers fail to translate “You got to ask for the sale” into their website. After you’ve defined your calls to action, you’ll need to define what type of content will help people answer questions that have to do with the theme of a specific call to action you’ve built. 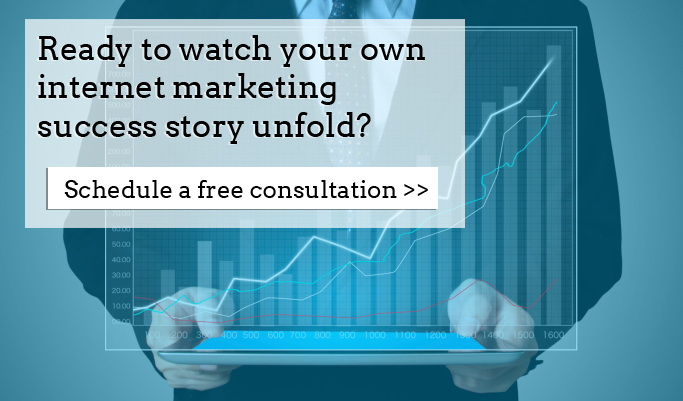 For instance, if your call to action is to schedule a free consultation, you’ll need to create content that helps people understand why they should schedule a consultation. What are all the questions your target market might be asking that reflect where they are at in the buying process? Your final CTA “Schedule a Free Consultation” is the call to action that caters towards people who are at the bottom of your sales funnel and ready to buy. This means that every single one of your posts should have a visual call to action at the end of it to lead your traffic to the next step of the closing process. The software will then nurture those leads by sending out automated e-mail messages to them with more information, encouraging them to make the next decision to bring them closer to the sale. As you may have already guessed, this is why it’s imperative to understand how you want to communicate with your target persona during the sale. How you communicate during the sale will inform what type of content you should be using with your lead system to bring a lead closer to conversion. Finally, create content that informs and asks people to move down the sales funnel closer to a conversion (macro conversion). This is the general outline we use here at Fannit to help our clients fix their lead traffic issues. being communicated with in a way that will get them to convert. On-going work includes a sort of “rinse-and-repeat” of all 3 steps over and over again with different messages, which we split a/b test to get the best possible lead and nurturing system for our clients. The end result is an automated lead feeding system that is scalable to the amount of leads a business can take in and provide services/products for. 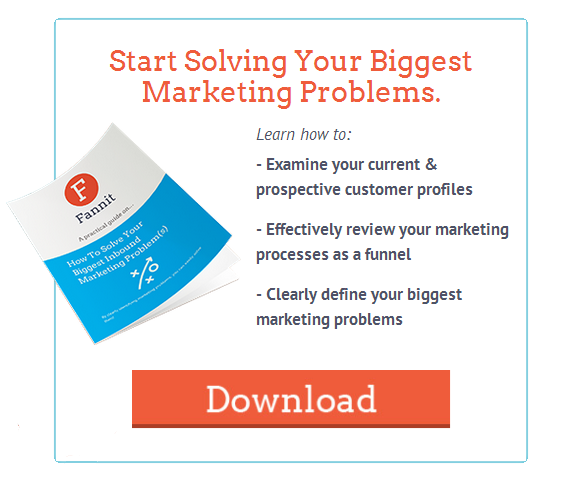 Click here to learn more about how we can help your business increase its leads and move into a scalable marketing model or download our ebook below.